The latest startling revelation to come via documents leaked to Julian Assange’s muckraking website and published by The Guardian should give pause to every suburban SUV-driver. 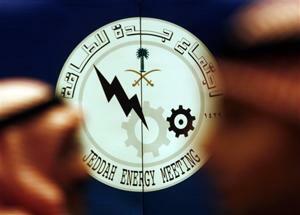 U.S. officials think Saudi Arabia is overpromising on its capacity to supply oil to a fuel-thirsty world. That sets up a scenario, the documents show, whereby the Saudis could dramatically underdeliver on output by as soon as next year, sending fuel prices soaring. The cables detail a meeting between a U.S. diplomat and Sadad al-Husseini, a geologist and former head of exploration for Saudi oil monopoly Aramco, in November 2007. Husseini told the American official that the Saudis are unlikely to keep to their target oil output of 12.5 million barrels per day output in order to keep prices stable. Husseini also indicated that Saudi producers are likely to hit “peak oil” — the point at which global output hit its high mark — as early as 2012. That means, in essence, that it will be all downhill from there for the enormous Saudi oil industry. Tata Motors MD Karl Slym Dies in Thailand!